Are you interested in ISQA, the Information Systems and Quantitative Analysis program at the University of Nebraska at Omaha? Well, this is the place to start gathering information. This page provides information and web-links on a variety of relevant topics. Enjoy exploring these! The Information Systems and Quantitative Analysis Department offers graduate and undergraduate programs which prepare our students for the challenges of careers in the Management Information Systems field. Our undergraduate program allows students to augment their education with specialization tracks in Application Development, Information Systems Management, Information Systems Engineering, Knowledge Engineering and Decision Support, and Electronic Commerce. Our Master's program includes concentrations in Electronic Commerce, Information Assurance, and Telecommunications. Our student organization MISSO - the Management Information Systems Student Organization - actively engages students with social events, guest speakers, and facility tours. The ISQA Bachelor of Science in Management Information Systems (BSMIS) degree provides our students with the educational background for pursuing an exciting career in applying computers in business and government. Students learn how the computer can be used to produce information both for controlling the day-to-day operations of a business and for planning for the future. Information systems and quantitative analysis produces the educational background appropriate for pursuing career opportunities in business data processing, management information systems, information centers, systems analysis, systems design, decision support systems and other related areas. Founded in 1996, the College of Information Science & Technology was assigned the urgent mission of producing the next generation of Information Specialists, and to do so in collaboration with Industry. To accomplish the mission, the College developed a new core curriculum, created innovative courses, laboratories, and support material, and is changing the pedagogy of learning for its students - all to create the kind of education crucible that both students and industry want. Key to the collaborative environment at the College of IS&T is the intellectual linkage between academe, industry, and state government. This linkage has led to substantial and extraordinary financial commitment to UNO and to the College. This partnership has entered into a $70M infrastructure development effort that includes a $37.5M Information Science, Technology, and Engineering building on the University of Omaha south campus, 24 new faculty positions, 100+ student scholarships, endowments for faculty support, substantial laboratory and computing support, executives-in-residence, and 4 distance learning facilities which will utilize the Nebraska Satellite System, to name a few. The Peter Kiewit Institute merges the University of Nebraska at Omaha's new College of Information Science & Technology and the University of Nebraska-Lincoln's College of Engineering & Technology into a unique collaborative partnership with business and industry. The Institute is named in honor of the late Peter Kiewit Sr., founder of the international construction company based in Omaha. 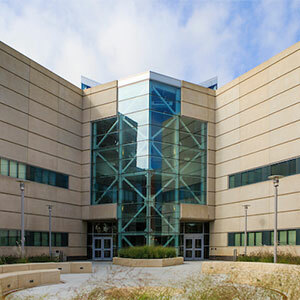 The Institute is housed in a brand new facility on UNO's south campus at the Aksarben site, which officially opened its doors on August 21, 1999. The Peter Kiewit Foundation has donated $15 million toward the project, the state of Nebraska contributed $23 million, and companies and individuals contributed $32 million, to support the building, academic programming, professorships and student scholarships. The $37.5 million building itself is a laboratory. Inside its glass entry, designed and engineered in England, students see firsthand the building's heating and cooling systems, computer network and electrical wiring - all purposely exposed throughout the 192,000-square-foot building as a teaching tool. The University of Nebraska at Omaha is a well-established, accredited metropolitan university, serving the Omaha metropolitan area, as well as the State of Nebraska. Through 11 colleges, including Graduate Studies and Research, the University offers a wide variety of degrees at the baccalaureate and master's levels, as well as selected doctoral degrees. Exemplary of UNO's continuing growth are the 1996 founding of the College of Information Science & Technology, the development of a Division I Ice Hockey Team in 1997, and the construction of brand new Student Housing which opens its doors in time for the Fall 1999 semester. Situated on a beautifully landscaped campus located centrally in the city, UNO offers educational and development opportunities to both full-time and part-time students. If you have any preconceived notions about Omaha being a mostly rural community, it's time for a reality check. Omaha is a vibrant city and is now the 48th largest city and the 60th largest metro area in the nation. Over 690,000 people live within the five-county metropolitan area, and over one million live within a 50-mile radius of the city. And not that we like to brag, but the venerable Wall Street Journal reported that Omaha's Fourth of July fireworks display was the fifth largest in the nation. Omaha also consistently ranks in the top 20 percent of the best places to live by Places Rated Almanac. This year, Nebraska was found to be the sixth most livable state in the country. And how could we omit the fact that Omaha has hosted the College World Series for fifty years! Would you take our word for it that Omaha is an excellent location for business and industry? Well, consider the following: 17,400 businesses are located within the Omaha metro area, Forbes magazine recently identified Omaha as one of the 15 top regions in the country, and in 1998 Sales and Marketing Management designated Omaha the fifth hottest domestic market to do business in. Omaha is home to four Fortune 500 companies - ConAgra, Mutual of Omaha Companies, Berkshire Hathaway and Peter Kiewit and Sons. Over 30 other Fortune 500 companies have manufacturing plants or service centers in the metropolitan area. Omaha headquarters almost 30 insurance companies, two dozen direct response/telemarketing centers, and a substantial number of other national and international firms. Omaha is also home to the Nebraska Furniture Mart, founded by the legendary "Mrs. B. ", to the Stockholder Meetings of Berkshire Hathaway, and of course to Warren Buffet, its Chairman of the Board. Between 1989 and 1995, employment in Omaha grew by 15 percent, reaching over 372,000. This growth was spurred by the construction and service sectors. Omaha's unemployment rate is consistently lower than the national unemployment rate, down to 2.4 percent in 1995 - considerably less than the U.S. rate of 5.6 percent. Omaha residents work hard, but they also love to play. Fortunately recreational opportunities abound. The City of Omaha administers over 8,000 acres of parks and 13 neighborhood recreation centers. Omaha also boasts many lakes suitable for boating, sailing, fishing and a number of other activities; more than 42 golf courses; over 1,700 softball teams to join; as well as a variety of other sports opportunities. Less than an hour's drive of Omaha are over 4,500 acres of Nebraska state parks suitable for camping, hiking, boating and fishing. The Omaha metropolitan area is served by several public and private school systems. There are approximately 113,000 children in metro area public schools. There are three public school districts within Omaha city limits - the Omaha Public School District, the Millard Public School District, and the Westside Community School District. Post-secondary education opportunities include two community colleges, two major medical and pharmacy schools, one dental school, one law school, five continuing education programs and several public and private technical trade and business schools.